Starting your ecommerce business means hard work, dedication, and money; if you do the right moves in starting your business, you shall also reap a good harvest. Here are some general tips for business owners when they want to start their ecommerce ventures. Confidence is an important factor, but it should be accompanied by other significant factors. Consider these tips or you can be more creative in your strategy as you open your online store. Be ready for challenging tasks ahead. Starting your online shop means hard work, focus, willingness to invest, and a good attitude. Nothing in this world is free. Patience is a virtue. While we dream of getting money fast, everything must be regulated and in the right timing. Thorough planning is also recommended to know your direction and what methods or strategies to use to get where you want to go. Hiring a professional agency such as Magento web developers or online marketing agency to do some tasks, such as web development, marketing, etc., you will have more time to do other major tasks for your business. Early stages of your business are crucial and, whether you accept it or not, you will need help from professional and experienced agencies to do things right for your business. You should also know your major competitors, including their strengths and weaknesses; you can learn from their weaknesses and create a strategy to avoid falling into the same weaknesses; how are you going to compete in the industry: through pricing or positioning strategy? You should also know how to emphasize that your online presence through your online store makes a difference in the industry. Take time to research how other businesses started and learn what works and what does not work for them. Again, since the tasks ahead are overwhelming, outsourcing some tasks to professional and experienced agencies is highly recommended, particularly the areas on SEO and marketing strategies. Good credibility as shown by positive reviews will indicate that the platform is reliable and updated regularly. You should also know the technical capability and support that are available in a particular platform. Sometimes, you will realise that paying a good sum will give you the immediate support and quality results that you need. Showcase your products to draw potential customers. Put yourselves in the shoes of your potential customers and visitors to know what will make them draw and stay longer on your online store. How you showcase your products is a crucial factor, yet often overlooked. 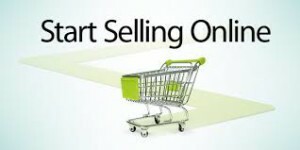 Remember that your online shop is your salesperson at the same time. Showcase your products with quality and proper sized product images with brief product description complete with the basic information like colours, sizes, and other information that will motivate the visitor to place an order. Create an atmosphere of satisfaction among your visitors and customers through engaging product information with quality pictures. The longer the visitors and customers stay on your online store, the higher your chances of sales conversions will be. eCommerce is undeniably the business trend these days. Even big corporations with big brick-and-mortar stores realise the significance of websites, not only do they reach wide local market but also global market. Your business may not become Amazon and eBay per se, but surely, your online store can make a difference in the industry it belongs. Do things right and reap a good harvest!